Real estate map plugins can boost the value of any neighborhood and when you look at how “hang-outs” are promoted in a place such as New York, there’s a strategy there for any area. In a market where a 900 sq. ft., condo with one bedroom, barely a living room and a tiny bit of sunlight is listed for $2.2 million, selling the neighborhood can be a critical factor. In fact, the reason why that property is priced at that number, compared to a larger property on the other side of Manhattan, is because of that neighborhood. Different types of neighborhoods sell for different reasons. For example, there are the “hang-out” areas. Places filled with cool, trendy bars and restaurants, where people do just that, hang out. For Millenials, hanging out is important. While the property might be nice, at that small size, it’s also confining. 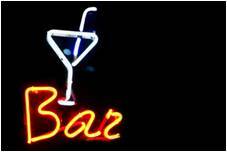 Having a great place to go and get out with friends within a few blocks is a major, major selling point. Conversely, some neighborhoods are known for their parks and places to relax, perhaps for an older couple. Throw in a relaxing coffee shop, library or bookstore as well. These neighborhood factors are huge when it comes to major metro areas. For real estate professionals, why not use the same neighborhood factors when selling properties in Anytown USA? Most brokers and agents do this. But how well do they portray the neighborhood as part of the entire property package? Do they casually mention there is a cool sports bar around the corner? Or do they utilize the right real estate map plugins to make a full court press and impress the heck out of buyers (and potential sellers) about the “hang-out” benefits of the area surrounding a property? Home Junction offers one of the most popular real estate map plugins as a widget that takes neighborhood selling to a whole different level. For one, the plugin is not just an ordinary map. It’s integrated with MLS listings as well. 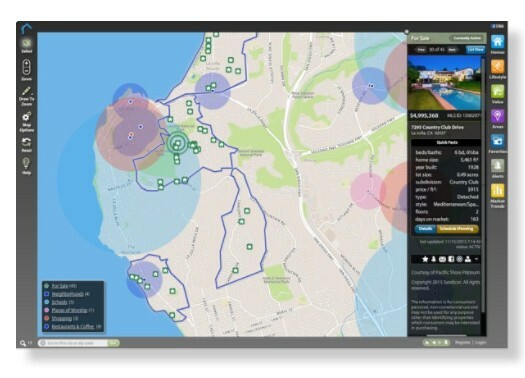 Therefore, an agent can pull up a property for sale on the SpatialMatch plug-in and then proceed to show the points of interest in the community surrounding that property. For sports fans, they can show how that Buffalo Wings sports mega-bar is just a mile away. For music lovers, there’s that club around the corner that offers first-class local bands every Friday and Saturday night. Who doesn’t love a cool coffee shop? A place where someone can sit down with a latte and a laptop and study for that nursing degree or write that must-see blog. Studies show that neighborhoods with popular enterprises such as a Starbucks, Trader Joes, Whole Foods, have a higher value than neighborhoods that don’t. Sure, many brokers and agents will say. I do tell prospects about those lifestyle amenities. That’s the crux of the issue right there. Do you tell….or do you show? Everybody knows most information is absorbed visually. Visual representations have a strong impact. A recent study conducted by a college professor found that when most people view properties, more than half hardly read any of the text. In addition, the internet is the new real estate marketplace. And the internet is a visual medium by far. In fact, the populace is almost becoming attuned to visual information. Check out the growth of Instagram. Home Junction’s real estate map plugin. Visual information can be absorbed faster. It catches people attention. When you have a medium like the internet where people are clicking away faster than the speed of sound, brokers and agents would be wise to present their neighborhood pitch in a visual manner. Therefore, don’t talk about hang-outs. Show them. Use Home Junction’s SpatialMatch real estate plugin to illustrate a home’s proximity to Starbucks, TGIFs and Urban Outfitters. Those neighborhood amenities, especially for Millenials, are as appealing to them as a bedroom or a living room. In fact, one study found that close proximity to a cool neighborhood with hangouts was more important to young buyers than a backyard. Backyards are for their moms and dads. These kids want a place to chill with their friends. In addition, when a broker or agent has a somewhat drab listing, the neighborhood will probably end up being the main selling point. Show sellers how you are going to boost the value of their bland property with your SpatialMatch geo-spatial tool. You are not going to present their home as just another “decent place to live” but as a part of an appealing neighborhood package with all these other lifestyle amenities. This is how they do it in NYC. One condo in a 30-story building looks just like every other condo. In today’s real estate market in cities such as New York City, those condos ain’t cheap. As you can see on shows such as Million Dollar Listing in NYC, property owners can be very demanding. Add SpatialMatch real estate plugins to your tool box. Use the colorful, integrated maps to convince owners you are the agent that can sell their bland property at the top dollar they want…and then use those mapped-based tools to convince buyers they can buy a piece of that hot “hang-out” neighborhood. © 2019 Copyright - Home Junction Inc.